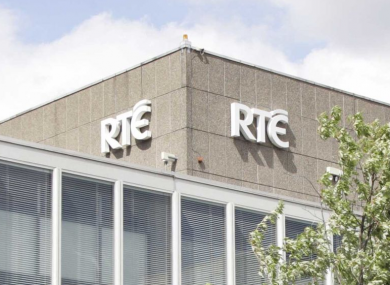 A COMPLAINT TO the Broadcasting Association of Ireland (BAI) about coverage of a report on a pregnancy counselling service in The Times (Ireland edition) on various RTÉ news programmes has been rejected. The complaints, made by the Alliance of the Defence of Family and Marriage, were about references to a report in The Times (Ireland edition) on the advice given to an undercover reporter at a Dublin pregnancy counselling clinic and an examination of this story across the broadcast day in a number of programmes. These programmes were the News at One, Drivetime (RTÉ Radio 1), Six One News, Nine News and Claire Byrne Live (RTÉ 1 TV). handling of an item taken from The Times (Ireland edition) concerning a ‘pro-life’ pregnancy counselling agency in Dublin. It also took issue with some of the details of the report, including the risk of cancer to a woman who has had an abortion. It said that The Times (Ireland edition) reporter featured during the broadcasts “was biased in what she said when interviewed”. The complainant notes that the programmes included interviews with medical professionals, namely Dr Peter Boylan, Chairman of the Institute of Obstetricians and Gynaecologists and Professor Seán Brady of the Coombe Hospital. The complainant states that by not inviting a medical expert on to give the counter-argument to what Dr Boylan and Professor Brady stated, “RTÉ were showing a clear bias in favour of the opinion of, in the case of Dr Boylan, a doctor who they state is known to favour further liberalisation of the State’s laws on abortion”. They said that RTÉ was, in their view, “engaging in censorship that could lead misguided women to accept what they describe as this ‘pro-abortion’ approach uncritically, without hearing the other side”. side in the discussion that will proceed in the future on whether to repeal the 8th Amendment to the Constitution”. RTÉ said that the broadcast was editorially justified “as incontrovertible evidence of the statements made by the pregnancy counsellor and it was also demonstrably in the public interest to bring to public attention that the giving of such advice was taking place”. The broadcaster maintained that it dealt with the story in a fair, objective and impartial manner. It pointed out that in the case of the News at One, for example, in her interviewing of the reporter, Coyne, and Dr Boylan, the presenter “demonstrated exemplary impartiality, consistently used objective language and made no reference at any point to any views of her own on the topic”. RTÉ said it believes that requesting the informed view of Dr Boylan, amongst others, on the reported advice that abortion could cause an increased risk of breast cancer, child abuse and other side effects “was fair, impartial and objective, and that it was in the public interest to ask the expertise of a consultant in the field of obstetrics and gynaecology if there is evidence to support those claims”. The BAI members decided to reject the complaints. Email “Complaint about RTÉ coverage of undercover pregnancy counselling report is rejected”. Feedback on “Complaint about RTÉ coverage of undercover pregnancy counselling report is rejected”.